Spotlight on good taste! Earn more money and your bartender's good will when you sell drink tickets in advance. 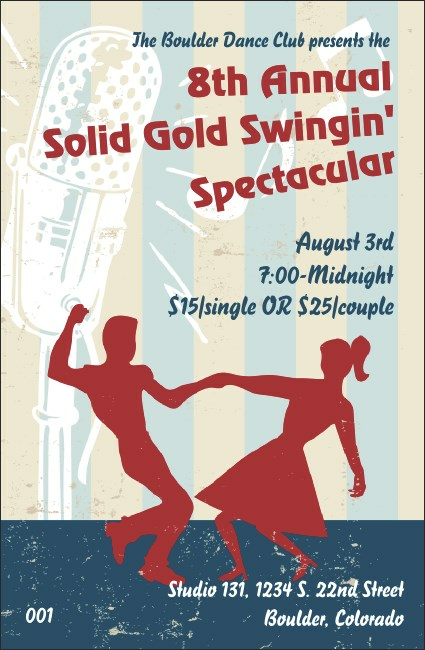 For big band and ballroom parties, try a Swing Dance Drink Ticket and shine a little light on refreshment sales. Your organization looks great when you choose matching Event Kits from TicketPrinting.com.